After homemade pop-tarts and cheddar cheese puffs this probably seems like a letdown. 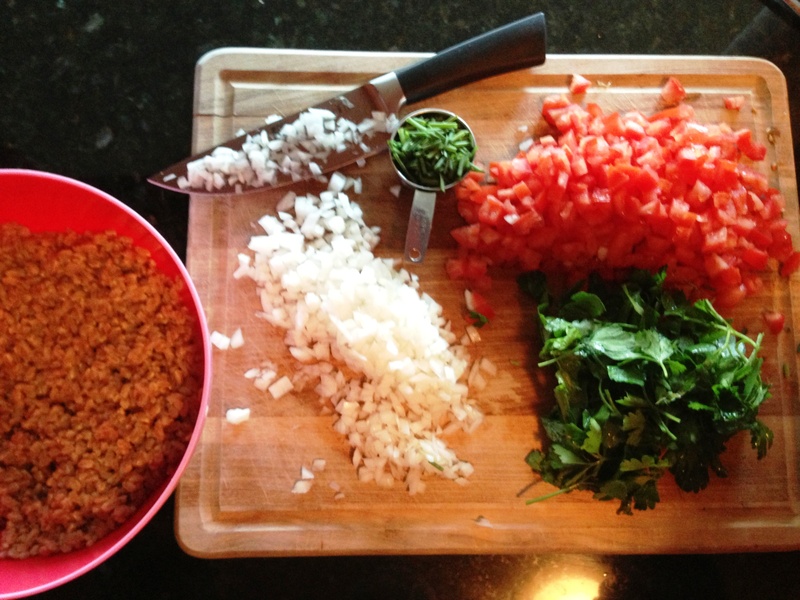 This recipe has many healthy perks but I made it because I heard it would turn out absolutely delicious and it did. 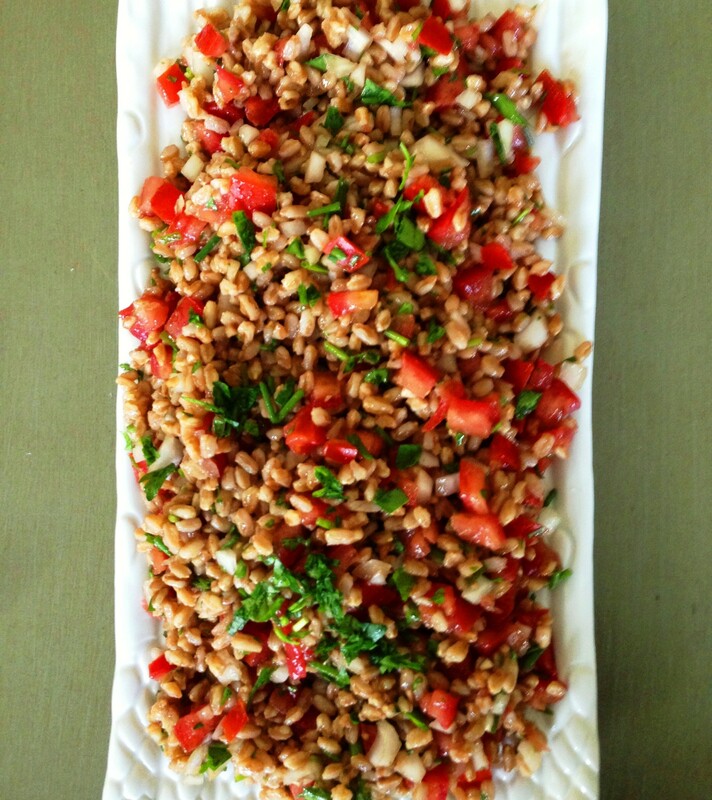 Most farro sides have cheese and nuts and dried fruit… it takes an army to make this grain taste good. That’s why I was so impressed with this little number. Fresh herbs and tomatoes, a simple vinaigrette, and you have an extremely flavorful dish for company and a legit lunch for the next day. When you make this you’ll feel like it has way too much onion and herbs but it doesn’t… especially after it sits for a while. 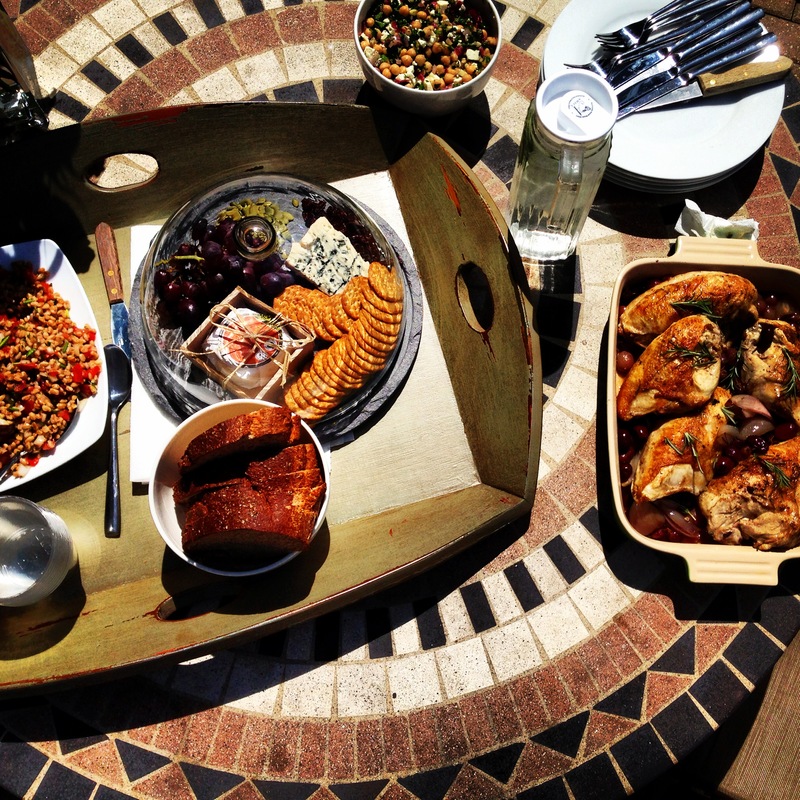 You can make this well in advanced which I love love love for hosting parties. Feel free to switch up the ingredients, add whatever veggies are in season or cheese if you feel you need it. I promise you it’s perfect as is though. I served this with roast chicken and a chickpea salad. 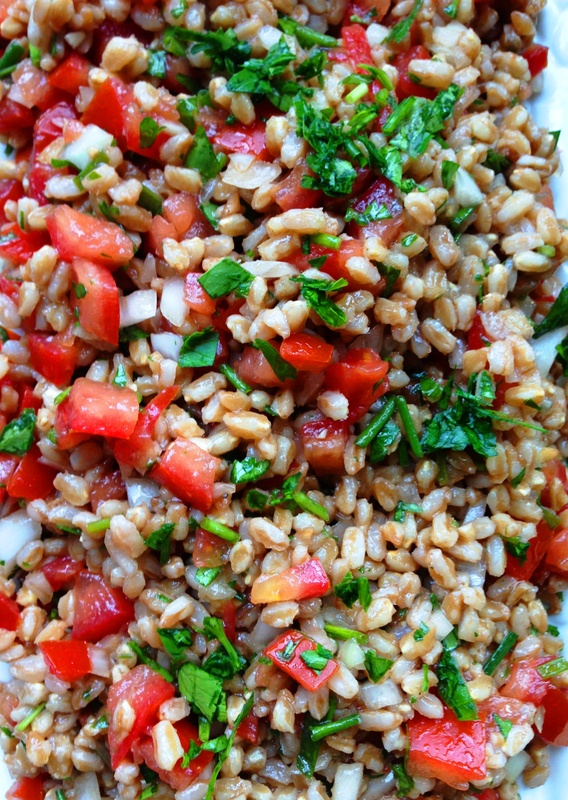 Combine water, salt and farro in saucepan and bring to boil. Reduce heat ot medium-low, cover, and simmer until the farro is tender, about 30 minutes. Drain and transfer to large bowl to cool. 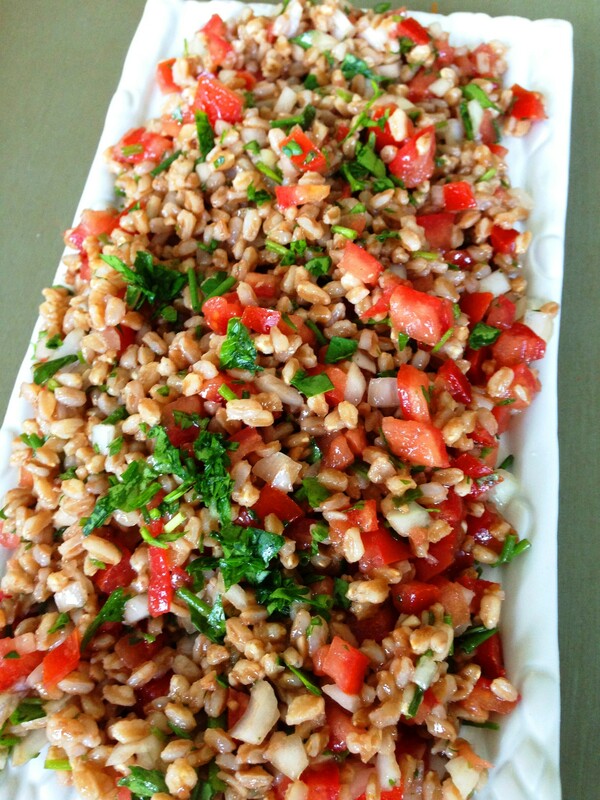 Add the tomatoes, onion, chives and parsley to the farro and toss. In a separate bowl, whisk the garlic, vinegar, salt/pepper, and olive oil. 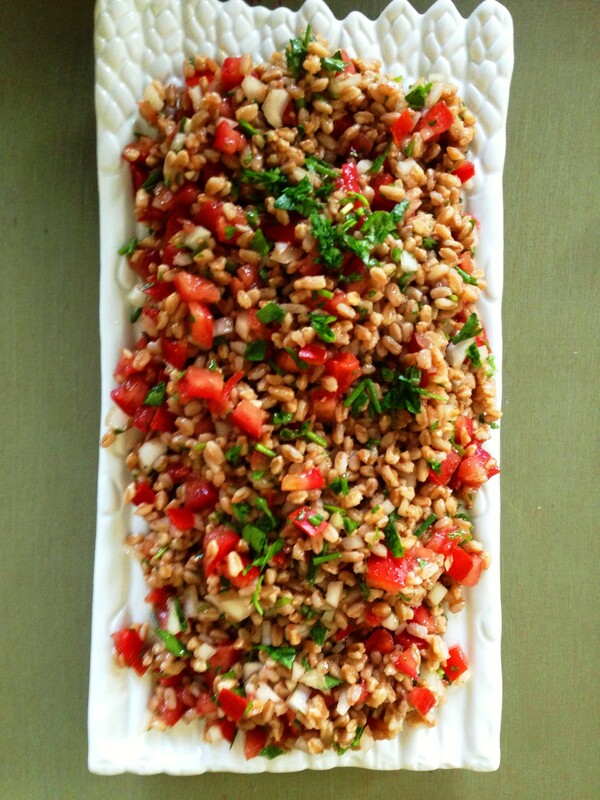 Add this dressing to the farro and toss. Serve at room temperature.